Let's start with the origins of the High Definition Audio specification. With the oblivion of DOS and the arrival of Windows the era of motley architectures and direct sound card programming came to an end. OS Windows resulted in the appearance of unified standards and APIs. In this case API (Application Programming Interface) is a unified standard interface, which is used for high-level access to similar functions of various devices, instead of low-level programming of each device. As applied to audio, OS Windows 3.11 contained MME (Multi Media Extensions) as part of Windows API with several simplest functions for initializing devices, setting up working parameters, replaying and recording audio. In 1996 Microsoft released a rather powerful DirectSound API with multi-channel audio support, software emulation, and capability for hardware acceleration of audio functions, so all sound cards commenced acquiring DirectSound drivers. In 1997 Intel introduced a standard specification on cheap audio-codecs for the masses, named AC‘97 (Audio Codec '97). 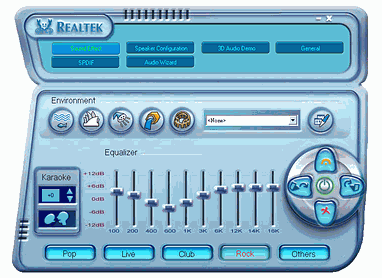 The main achievement of the introduction of this specification was the audio quality improvement in popular sound cards due to complete separation of analog and digital sections, and the raise in maximum playback sample frequency up to 48 kHz for compatibility with the audio format in DVD-Video. The standard endured rather long, lived to see v2.3, and is presently obsolete. 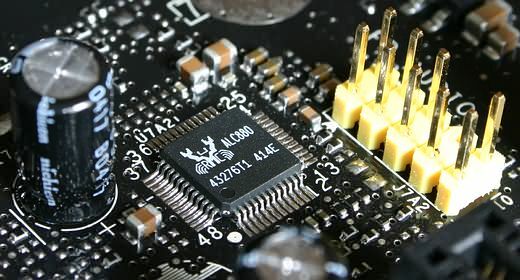 AC'97 codecs are not used in modern quality sound cards (instead, I2S-codecs are successfully used for consumer and professional audio equipment), and they completely shifted to the low-end sector, having degenerated into poor and buggy usually disabled "integrated AC'97-audio". Because of its cheapness, mediocre implementation of integrated audio discredited the name itself of the standard, which has little to do with this issue. 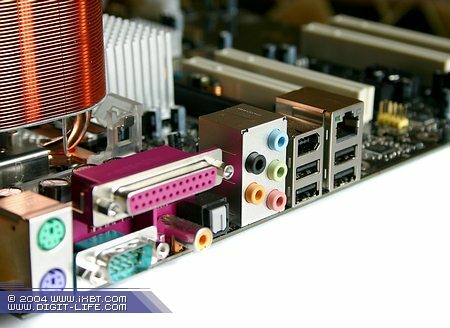 For example, in implementations from Analog Devices and Intel (SoundMAX Cadenza by the example of integrated AC'97-audio on the Intel D845PEBT2 mainboard, Integrated AC'97-audio on the Intel D815EFV mainboard) or NVIDIA (Practical research of multimedia and communication features of the NVIDIA nForce chipset) integrated AC'97 audio demonstrated quite acceptable quality and even some original features. * Theoretically 20 bit 96 kHz in the latest versions of the standard, but in practice it's a mystery where you will find a record in such format. Let's consider in more detail the Microsoft Universal Audio Architecture (UAA) support, which introduction had been earlier planned only in the next generation of Windows (Longhorn). UAA compatibility supposes automatic installation of a common Microsoft driver already present in the operating system to an audio device, the driver correctly supporting all base functions of the device and providing audio playback without glitches. Enthusiasts can of course install another beta-driver from the codec manufacturer supporting wider functionality (for example, nice panel with manufacturer's logo or DS3D and EAX support via Sensaura software algorithms). Dolby Home Theater - 5.1 support for several listeners, Dolby Digital, Dolby Headphone, Dolby Virtual Speaker, Dolby Pro Logic II, as well as creating Dolby Digital DVD with Dolby Digital Stereo Creator. Dolby Master Studio - 7.1 support for several listeners, Dolby Digital, Dolby Digital Live, Dolby Headphone, Dolby Virtual Speaker, Dolby Pro Logic IIx, as well as creating DVD with full Dolby Digital. A very interesting non-standard measuring of signal-to-noise relative to –20 dBFS instead of to peak-to-peak signal, as well as a requirement to the high level of the output signal, which will almost automatically provide acceptable signal-to-noise ratio. Harmonic distortion level at -60 dB corresponds to 0,01%, which is obviously not enough to deliver quality sound. Requirements to frequency response passband ripple are easily met by the DAC and have little to do with quality sound, but they may force manufacturers to use higher-performance operational amplifiers at the codec output. On the other hand, the fact itself of the necessity to redesign converters and obtain certification can stimulate the appearance of higher quality codec chips. In our lab we tested an Intel mainboard with integrated High Definition Audio based on the Avance Logic (Realtek) ALC880 codec. High Definition Audio codec ALC880 supports UAA (Universal Audio Architecture), contains four stereo 24 bit DACs (SNR >100 dBA), three stereo 20 bit ADCs (SNR >85 dBA), it is designed for high-performance multimedia computers. 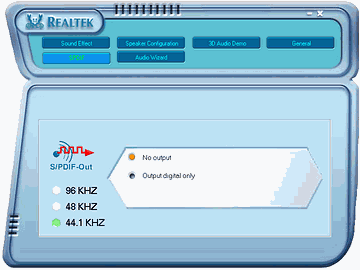 DACs have the integrated content protection from Realtek for DVD-Audio support. Three stereo microphone inputs support a microphone array with Acoustic Echo Cancellation (AEC), Beam Forming (BF) and Noise Suppression (NS) technologies. Impedance sensing and jack detect techniques allow device loads on inputs and outputs to be auto-detected. Headphone amplifiers are integrated at each analog output. All analog IOs can be re-tasked according to user's definitions, or automatically switched depending on the connected device type (Universal Audio Jack®). ALC880 supports 32 bit 96 kHz S/PDIF input and output. The ALC880 supports host/soft audio from the Intel ICH6 chipset, and also from any other HDA compatible audio controller. By drivers it supports EAX/Direct Sound 3D/I3DL2/A3D in games. Interestingly, there is an optional Dolby® AC-3 encoder for digital audio output to speakers with a decoder or a consumer receiver. 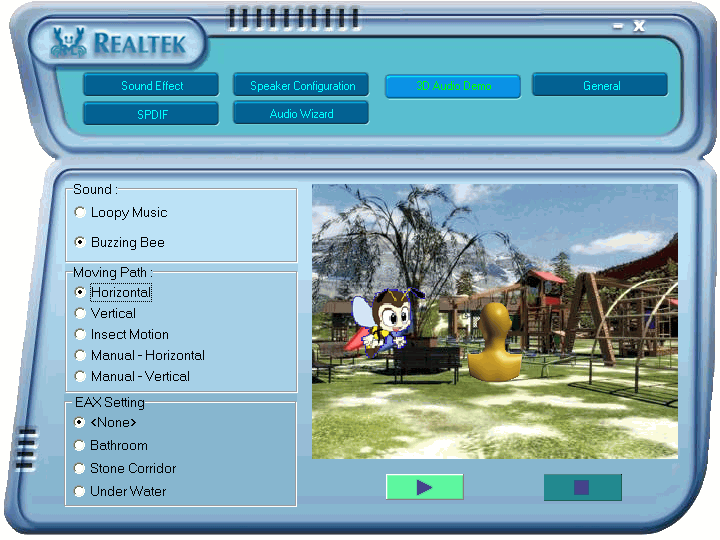 Control panel is implemented in one large window with several tabbed pages and looks like a toy — large buttons with funny images. On the Sound Effect tab you will find 10-band equalizer with an option to choose presets or create your own, as well as effect modes including a karaoke mode. The Speaker Configuration tab contains a menu for choosing speaker configurations with an option to send test signals to the existing channels of the chosen configuration. 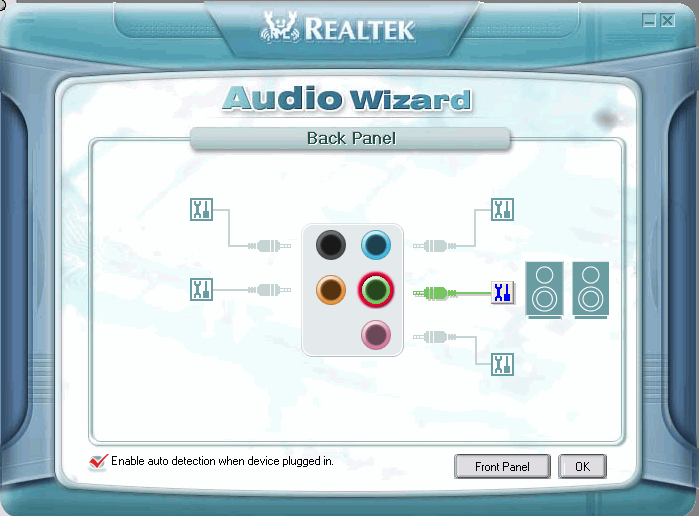 When you attach a plug into a jack, the Audio Wizard panel automatically appears by default. Auto detection can be disabled or enabled manually by the corresponding button in the upper part of the main window. 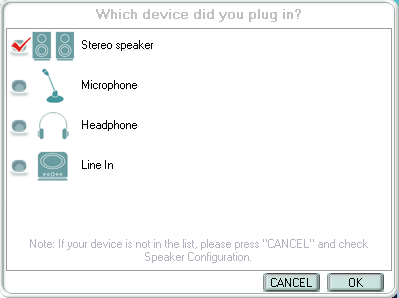 In the appeared window you can specify a device, which you want to plug in. On the 3D Audio Demo tab you can evaluate the positioning quality of test sources in audio space. The SPDIF tab contains digital interface settings - sampling frequency selection and the No output button. The latest driver v5.10.0.5027 was used for this review. Measurements were taken with the Terratec 6fire LT and Audiotrak ProDigy 7.1 sound cards with a short high-quality cable with gold-plated connectors. Taken from the ECS PF4 Extreme mainboard (Intel 915P) review. Taken from the ABIT AA8 DuraMAX (Intel 925X) mainboard review. For comparison we quote test results of the AC'97 codec with the claimed 18 bit ADC, 20 bit DAC, and the signal-to-noise ratio >90 dB A. Audio transfer speed (hardware): 10.870 Mb/sec. We used the Event 20/20bas professional monitors and a section from the Pioneer AX5i receiver with the B&W 6s3 speakers in the subjective tests. For a better assessment of the audio quality, we included the following sound cards into our tests: Creative Audigy and Live!5.1, plus an integrated AC'97-audio Realtek ALC650. Audition was performed at the same test fragments frequently switching between the sources. 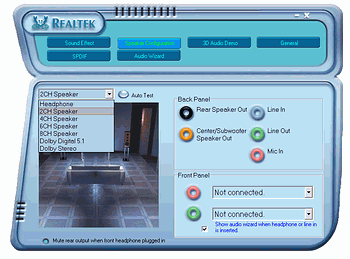 HD Audio Realtek ALC880 demonstrates rather good audio quality for integrated audio. It sounds very much like Creative Audigy. If you strain your ears to hear the fragment details, you may notice the slightest difference (a bit better transparency at high frequencies for Audigy). However, if you extend the interval between HD Audio and Creative Audigy auditions to five minutes, it will be impossible to hear the difference. Comparing the audio quality of HD Audio Realtek ALC880 with that of Live!5.1, the superiority of Realtek ALC880 is obvious: better-balanced and smoother playback without the abrupt, rough tones. Note that the difference between ALC880 and Live!5.1 is much more pronounced than with Audigy. 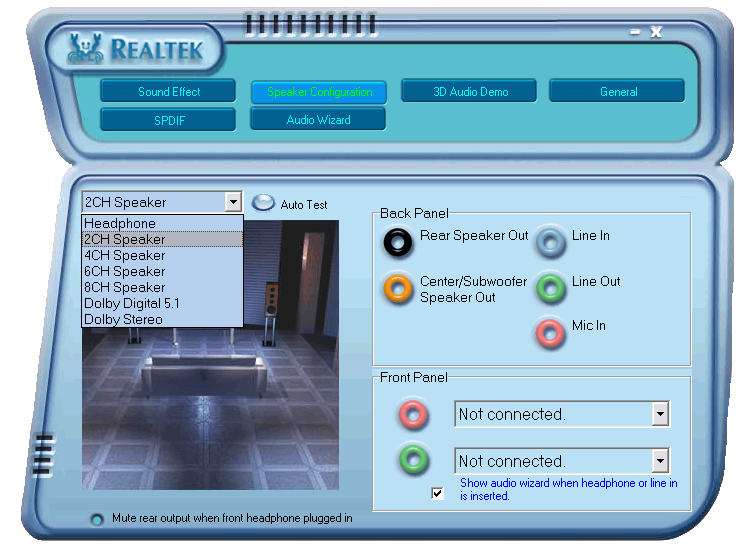 While Audigy and Realtek ALC880 sound almost alike, the Live!5.1 playback differs even in tembre of some instruments. 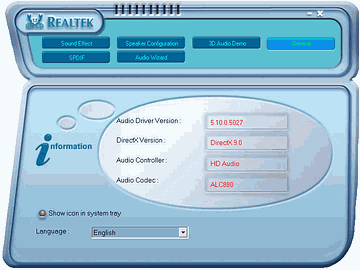 AC'97-audio Realtek ALC650 playback also differs from that of HD Audio Realtek ALC880. Their divergence is of a different nature, than in two previous comparisons. HD Audio performs in a more pronounced and detailed manner in the low and medium frequencies range, but the high frequencies are subjectively better in ALC650. Nevertheless, AC'97-audio, unlike HD Audio, possesses a rather flat stereopicture with blurred details. 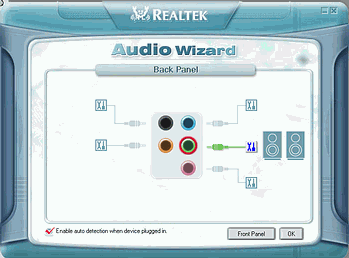 Surely, everything is known in comparison, but a closer match to the reference playback is HD Audio Realtek ALC880. Thus, the subjective comparative tests demonstrated that the audio quality of HD Audio Realtek ALC880 is of an evolutional rather than revolutional nature. The achieved level of audio quality is right up to such sound cards as Creative Audigy. 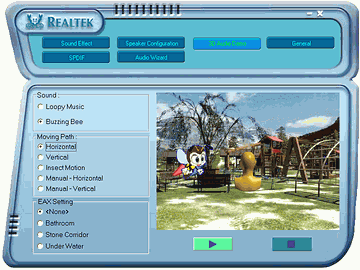 Don't forget though, that the today's HD Audio sample was based on the top Realtek ALC880 codec. Measurings and auditions proved that the High Definition Audio codec ALC880 is much better (RMAA - "Very good ") than the AC'97 codecs Sigmatel 9721 and ALC650 (RMAA - "Good"). Integrated High Definition Audio sounds better than a modern integrated AC'97-audio and five year old sound cards, and by the quality it stands near the three year old Creative Audigy, but it still cannot compare with modern sound cards like Audigy2 and higher. Thus we are witnessing the evolution of the AC'97 standard with an updated name (High Definition Audio), a slightly better audio quality in the hardware section, and support for high audio formats at 24 bit 96-192 kHz, admittedly not so necessary for users of low-end solutions, so we deliberately don't focus your attention on this support. 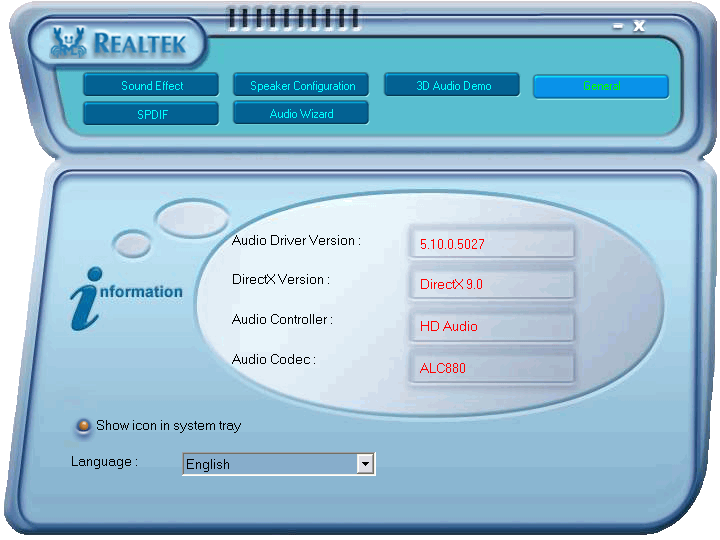 Useful features include standard Universal Audio Architecture drivers from Microsoft and Sensaura with installed drivers from Realtek. Good audio quality of the HDAudio codecs, better than in AC'97 codecs. Two types of digital connectors (optical and coaxial). Software support for 3D-sound based on Sensaura algorithms. Poor and clumsy control panel.